The source of this artist’s ingenuity is the never-ending supply of material nature affords. As a matter of course, Dominik J. Modlinski incorporates the journey motif into his work, his creative process and his personal growth experience. For him, the possibilities are endless. 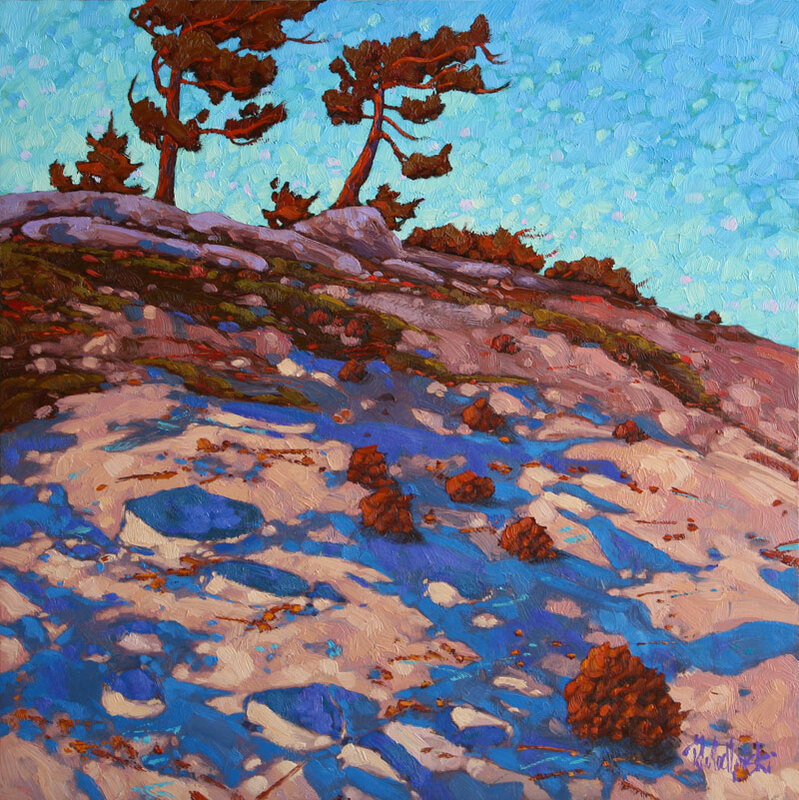 Dominik Modlinksi, Along the Ridge, Oil on Board, 24" x 24"
Born in 1970 in Warsaw, Poland, Modlinski now calls Canada home and makes his living traveling through and painting various endangered natural areas. At the heart of his travels is a quest to discover and depict the inherent balance and truthfulness found in nature. “My work is simply a reflection of what I love to do most, to be able to live on the land, to better my creative vision and to bring people joy and understanding of the environment through art,” says Modlinski. 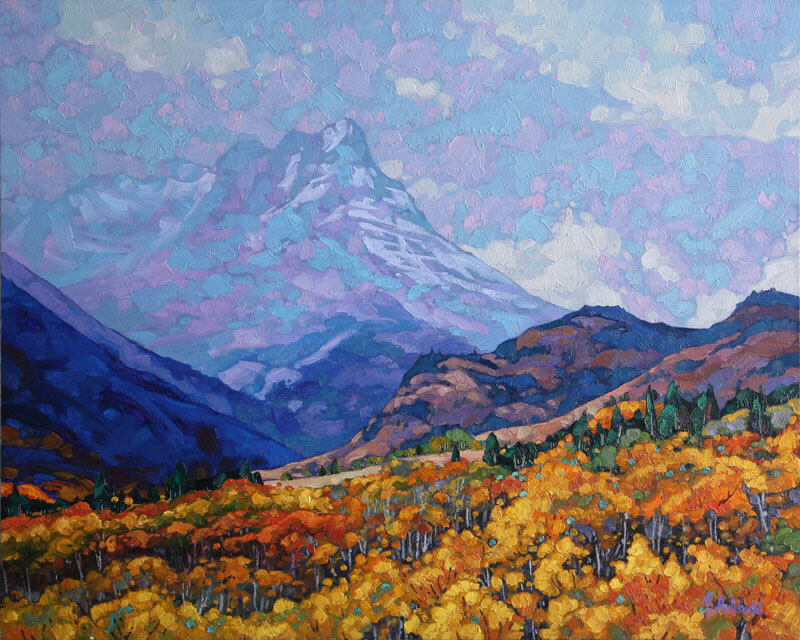 Dominik Modlinksi, Fall in Waterton Park, Oil on Panel, 24" x 30"
In Poland he attended The School for Artistic Crafts and Design. In Canada he graduated with honors from the Ontario College of Art in 1993. He has since lived in the wilderness setting of Atlin, B.C., where he taught painting and drawing at the Atlin Centre for the Arts. 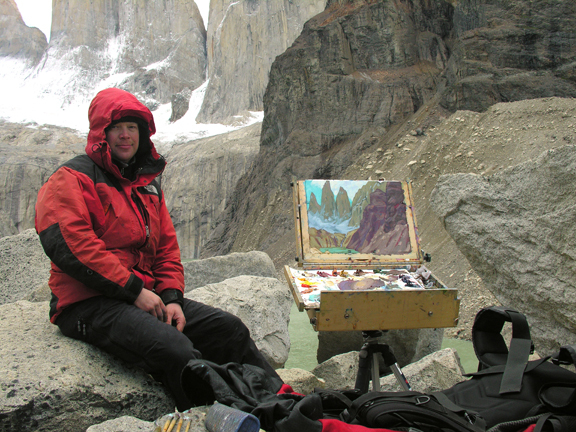 Modlinski says he enjoys the physical challenge painting in such remote location entails. It’s also an opportunity to visually celebrate a unique ecosystem. For this artist, celebration is really at the heart of his hard work. 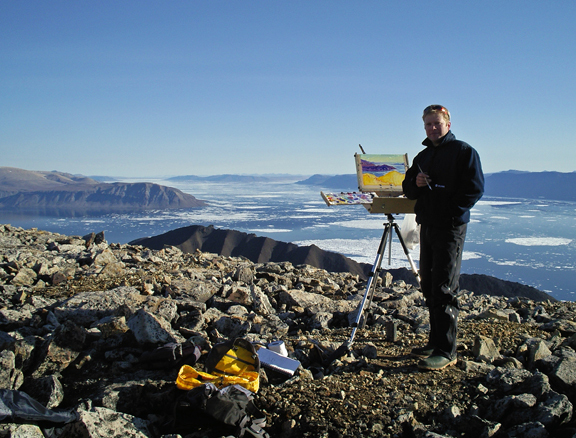 Modlinski now shares his time between Nanaimo and Atlin BC where he paints full-time. 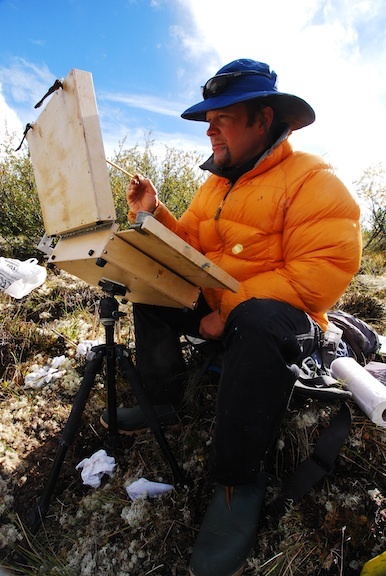 His work has earned him numerous awards, including the prestigious Elizabeth Greenshields Foundation Scholarship in 1994 and the David L. Stevenson Scholarship for Proficiency in Drawing & Painting in 1993. 1989 - 1993 Ontario College of Art, Drawing & Painting Diploma awarded with Honours. Elizabeth Greenshields Foundation Scholarship, November 1994. David L. Stevenson Scholarship for Proficiency in Drawing & Painting, May 1993. Friends of O.C.A., Year Three, for Proficiency in Fine Art, May 1992. Oil painting chosen for the Unicef Christmas Card, 1998. Cover page of Taku Fine Art Auction Catalogue, March 1997.
" Interview with an Artist " - Vision TV, Toronto ON, November 1996.
" Stein Valley - To Protect its Natural and Cultural Heritage ". Watercolour image chosen for the marketing poster. Published by Western Canada Wilderness Committee, Vancouver BC, September 1994. Ongoing workshops in Alberta and British Columbia.